Invest Openly: Is The Market Really Crashing By End 2017? Is The Market Really Crashing By End 2017? No, this is not my prediction. 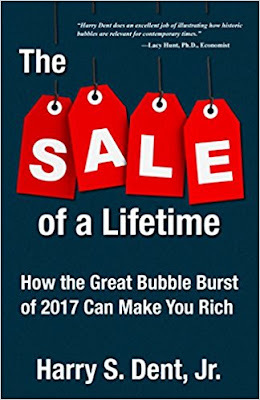 In fact, this is the prediction by the author, Harry S. Dent Jr in his book, The Sale Of A Lifetime - How The Great Bubble Burst of 2017 - 2019 Can Make You Rich. In the book, he categorized the stock market cycle into 4 seasons (just like the weather) and boldly predicted that end-2017 till late 2022 will be the market winter season (i.e. the greatest danger period for market crashes and recession/depression). 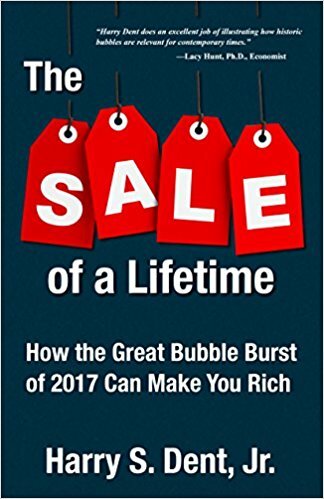 He cited a couple of guiding principles in identifying the market bubbles and also some justification for his prediction, which I am not knowledgeable enough to question. Will his prediction comes true? No one know and only time can tell. 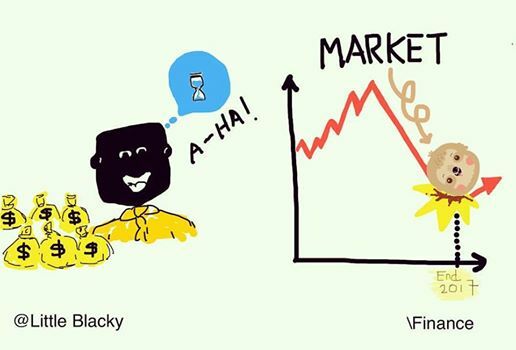 In any case, many of my financial blogger friends have already been "secretly" loading up the war chest and waiting for the perfect storm to come. 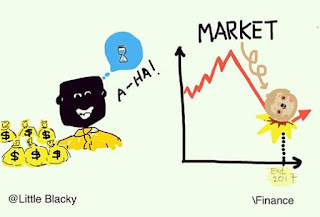 In fact, some of my financial blogger friends whom went through the the previous Financial Crises did a massive killing during that period (2007-2008). It's almost 10 years now and probably about right....time to release the kraken. It's quite a common knowledge or expectation. About 80% of analysts & newsletter writers & their dogs that I know of are predicting similar events. The only big question is whether there will be a final blowoff bubble phase or not. No, we're not in a stock bubble today. Bubbles are usually like 100% rise i.e. doubling of stock indices, within 1 year or less. 1999 was a bubble. 2007 was not. Today up to May 2017 is not. But as 2008 showed, sometimes you don't need a bubble to have a big crash. Hahaha, that's true, nothing new. Thanks for the viewpoint too. Harry S. Dent? That names looks familiar. For all the wrong reasons. Because all of his predictions were wrong - so far. One day he might be accidentally right. His track record so far is terrible. Wikipedia: "In 2012 the "Dent Tactical Advantage ETF," symbol DENT, was de-listed having consistently under-performed the market for three years while at the same time charging an egregiously high 1.65% management fee. In 2012, a major economic crash is inevitable and that it will drop the DOW all the way to 3,300. As of early 2013, he has amended his predictions slightly to an expectation that the financial crash will begin between the end of 2013 and the first half of 2014. In 2013, Dent predicted the market would crash again in the Summer of 2013 and would take a further year and a half to recover. In 2014, while promoting his book The Demographic Cliff in Australia, he predicted a major Australian housing market correction beginning in 2014 after an even bigger one in China. He also predicted that the price of gold would fall to USD$700 an ounce, and has since revised this prediction to 2017. On December 10, 2016, Dent predicted that the Dow Jones Industrial average could fall 17,000 points as a result of Donald Trump's election win. Less than two weeks later, Dent reversed his opinion and thinks there is short term growth for the US stock market, but demographic forces will keep the economic growth stagnant in the longer term. Thanks for the insightful facts about his past prediction. I guess we need to read with a pinch of salt for all kind of predictions.